HI, MY NAME IS SHALANI AND I AM THE CREATOR OF LIVE ALIVE (THAT’S LIVE, RHYMES WITH GIVE). I am a lover of life in all its varied guises. I am a lover of people of all shapes, sizes, colours, creeds. I am a lover of food – cooking it, eating it, growing it, sharing it. I am a lover of wine, champagne, the ocean, hugs, gardening, books and underpinning it all a lover of my connection with the ground of my being, what I call God, others may call Spirit, Source, Divine Love. I share my life with my husband Bruce, my anam cara. Our love created our two precious children who are two of my greatest teachers. I have an equally phenomenal bonus daughter who has blessed us with a divine grandson. We have a placid kelpie named Jaz, and a cranky cat named Sox to round off our family. Over my 5 decades, I have trained in early childhood education, nursing, nutrition, herbal medicine, remedial massage, Emotional Freedom Technique (EFT also known as Tapping) and laughter wellness to name a few. And most recently, I studied at seminary and was ordained an Interfaith (Interspirituality) minister. So what sparked my interest in traditional medicine? What really pushed me to learn even more was my son Jake. He was born a little early and suffered numerous respiratory infections many that required hospitalization for IV antibiotics and a life threatening encephalitis. By the age of 3 he was resistant to most antibiotics. Being a nurse, the medical model was ingrained in me, however since my teens I’ve had a keen interest in traditional medicine. I innately I knew there must be a better way. For my own interest and education I commenced studying naturopathy and - well the rest is history…. The two mantras guiding me daily are; I am always looked after and life works. These mantras have supported me through life’s inevitable ups and downs. I believe my mantras and the gift of guidance from unknown sources are the reason for my success in walking with others on their path to wellness. While I believe I have been blessed with a robust constitution that I am grateful for, I also have an unwavering faith in my body’s innate desire to be well. I listen to my body’s guidance about lifestyle choices, I feed my soul daily as a priority, and together with my understanding of human nutrition, traditional medicine, stress management, I am able to create every day wellness for myself. I believe every one of us are already whole and complete. We do not necessarily have healing to do per se, but rather, we have shedding and discovering to do. 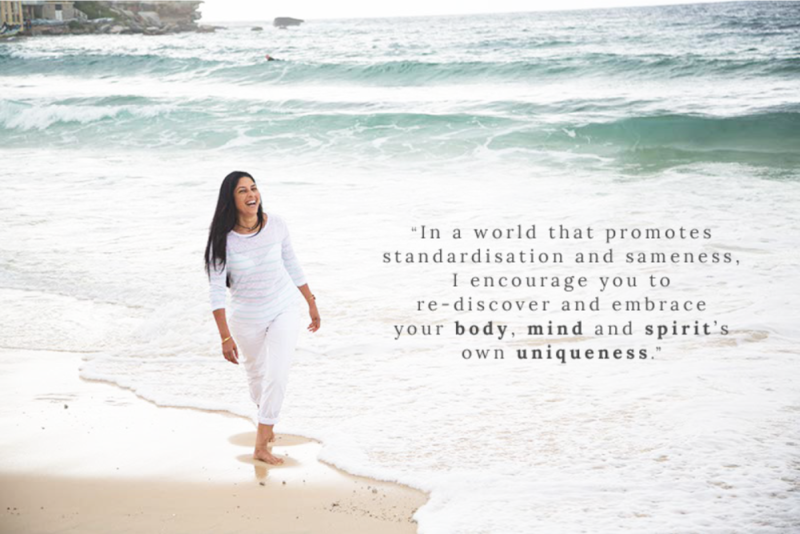 As part of what is called ‘work’, I have the pleasure of inspiring others to tune into the innate wisdom of their own body to make healthy choices so they too can truly, joyfully and freely live alive.